Ho Tram Beach Resort & Spa. 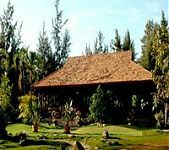 Ba Ria Vung Tau has many famous landscapes and historical monuments such as: Hai Dang mountain, Kito God Statue, Niet Ban Tinh Xa on Tao Phung mountain (Small Mountain) with height 170m, Thich Ca Phat Dai on Tuong Ky mountain (Big Mountain) with height 249m, Long Son Big House, Thang Tam Temple… Long Phuoc tunnel, Historical Round House in Ba Ria town, Minh Dam Revolution Base Area, Long Phuong Ancient Temple, Long Ban Pagoda existed in 19th century in Long Dat District. Ba Ria Vung Tau province’s festivals are mainly about religious belief activities such as: Dinh Co Festival in Long Hai from 10th to 12th of annual lunar February, Double Nine Festival on 9th of lunar Septemper in Long Son, Whale Festival Procession in Whale Temple, Thang Tam Temple in Vung Tau on 16thof annual lunar August, Mieu Ba Festival on 16th, 17th, 18th of lunar October. 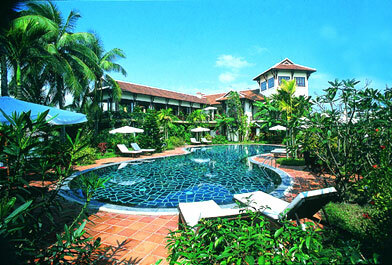 Ho Tram Beach Resort & Spa boasts of a selection of uniquely designed Bungalows and Villas. Each room was carefully crafted, incorporating Vietnamese inspirations with Western touches, creating a homey yet modern feeling for guests to experience and enjoy. With private balconies, guests have the option to choose from the sea view and garden view.